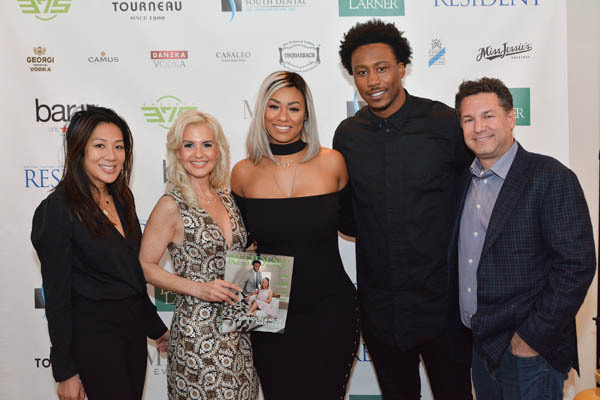 Resident Magazine’s Publisher Michael Travin, Associate Publisher Melissa Kassis, and Editor-In-Chief Hillary Latos hosted a party to celebrate Brandon and Michi Marshall, on the cover of Resident Magazine’s February 2017 issue. 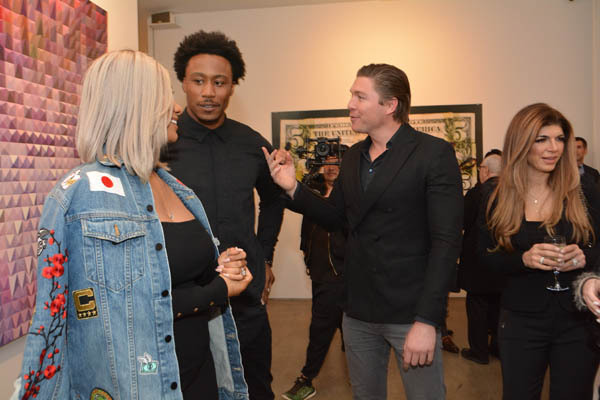 The invitation-only event was held at Philippe Hoerle-Guggenheim’s HG Contemporary Gallery in midtown Manhattan on Tuesday, February 7, 2017 between 6:30pm and 9:00pm. 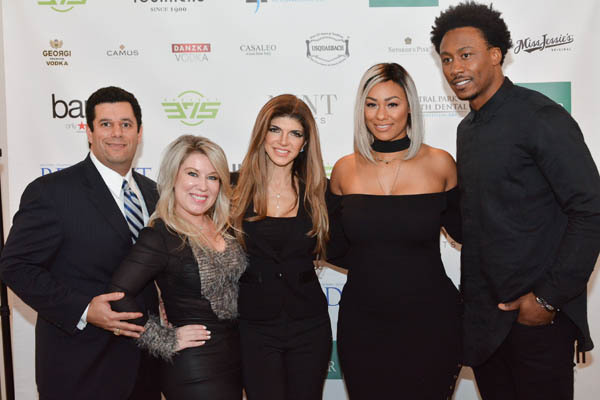 Attendees included: Brandon Marshall, Michi Marshall, Michael Travin, Melissa Kassis, Hillary Latos, Philippe Hoerle-Guggenheim, Teresa Giudice, Mark Masone, Karolina Dehnhard, Dorinda Medley, John Mahdessian, Amanda Stern, Allison Gandolfo, Courtney Travin, Ben Goldman, Marco Maranghello, Jose Salvador, Javiar Mora, Dr. Sol Schwartzstein, Lesley Bender, Lisa Cassese, Tracy Stern and Hunter Stern. Resident Magazine offers its readers engaging profiles about people of influence, fashion, art and trends in Manhattan and the Hamptons. The private gallery where the event was held offered guests a beautiful backdrop to enjoy a selection of Cocktails & Hors d’Oeuvres, while learning more about the power couple’s charity: Project 375. A portion of the evening’s proceeds benefited Project 375, which provides youth mental health first aid trainings to teachers, clinicians, parents, and more. 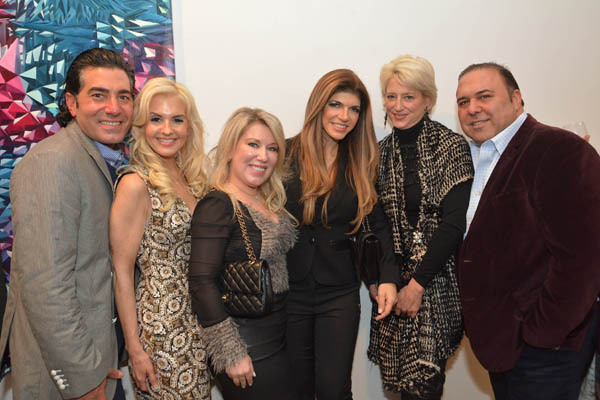 A silent auction was held, featuring sought-after items such as: A day of beauty at the leader in couture hair, Angelo David Salon; An 8-day Getaway to a private villa in Bali; An original photograph of Marilyn Monroe; Signed baseball and football memorabilia; VIP tickets to the Tony-winning musical Hamilton; and 2 tickets to Patti LaBelle live concert at Kings Theatre. Over the course of the evening, attendees were also able to participate in a raffle, which included beauty items such as: A Spa Envy Massage gift voucher, Miss Jessie’s hair products and La Mino Hair Salon gift voucher; show tickets to performances such as: The Bubble Show, Imbible, Not That Jewish and Cagney; and restaurant vouchers to experience Selena Rosa and Vero. 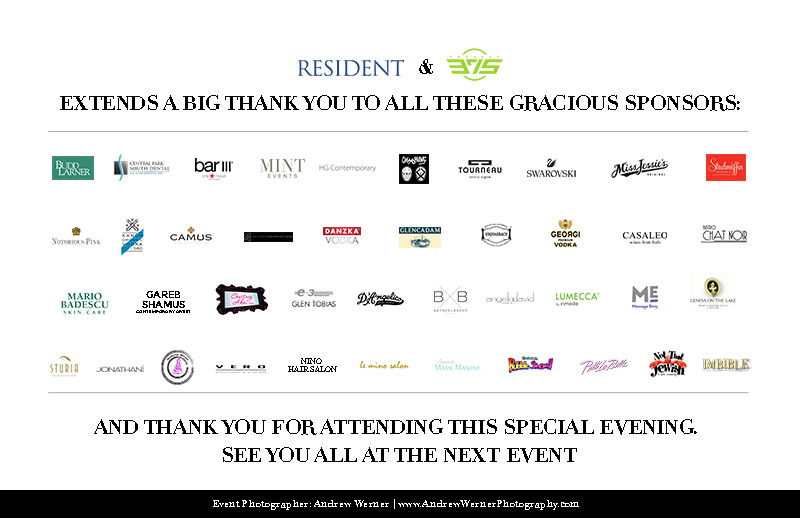 The event was sponsored by: Bar III at Macy’s, Budd Larner, Tourneau, Central Park South Dental, HG Contemporary Gallery, Angelo David Salon, Allen Dalton Entertainment Group, Baynes & Baker, Bistro Chat Noir, Gazillion Bubble Show, Camus, Casaleo wines, Swarovski, Courtney Akai, D’Angelico, Danzka Vodka, Designs by Mark Masone, E-3, Geneva on the Lake, Georgi Vodka, Glencadam, Jonathan Product, Kanon Organic Vodka, Le Mino Salon, Lumecca, Madame Paulette, Mario Badescu, Massage Envy, Mint Events, Miss Jessie’s, Not That Jewish, Notorious Pink, Oxymorrons, Patti LaBelle, Selena Rosa, Studmuffin Desserts, Imbible, Usquaebach and Vero. 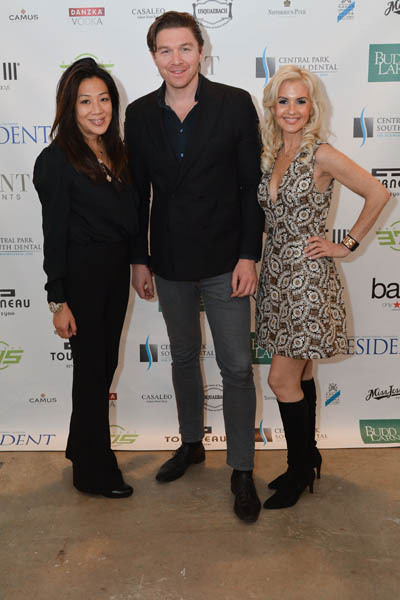 Current, passionate and informative, Resident Magazine is expressly for high-net-worth residents of Manhattan and visitors to boutique hotels on the island. Whether in a luxury doorman coop or newly built condo building, Resident Magazine reaches the titans of industry, the movers of entertainment and the individuals who can and do make choices for their travel, dining, cultural and real estate needs. Resident.com is the portal for in-the-know New Yorkers; with content from both the print edition and with original articles just for the site, the online edition receives over 30,000 unique visitors a month.